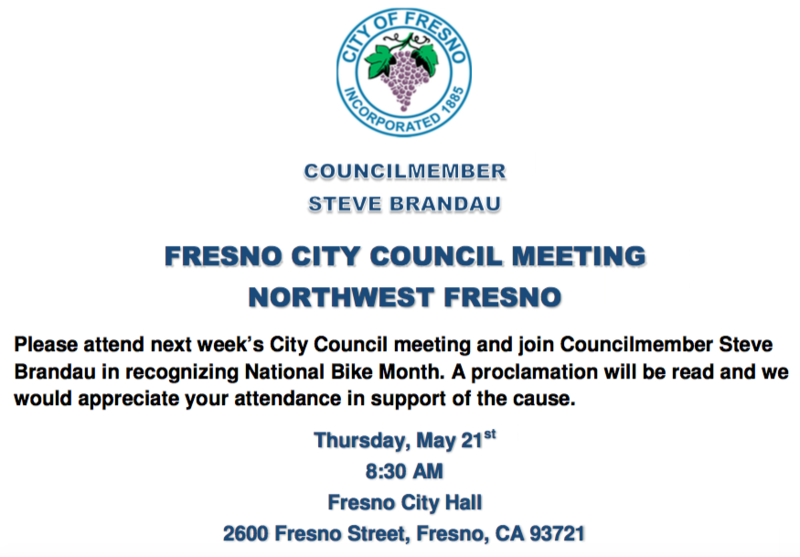 Please attend next week’s City Council meeting and join Councilmember Steve Brandau in recognizing National Bike Month. Councilmember Brandau will read the proclamation. 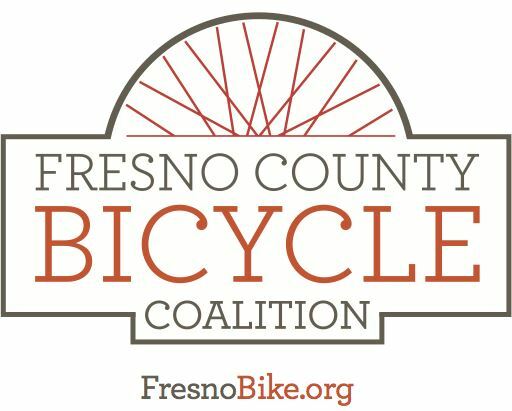 BPAC Chair and FCBC Board Member Tony Molina will accept the proclamation on behalf of local bicycling organizations including the Bicycle and Pedestrian Advisory Committee, iBikeFresno, and the Fresno County Bicycle Coalition. We would appreciate your attendance in support of the cause.